What do health care providers say about sexual and reproductive health of refugee and migrant women? Although 50% of Australians are born overseas, only 2.2% of peer-reviewed health research has included multi-cultural health. At the 1994 International Conference on Population and Development in Cairo, it was argued accessing SRH information and care before and after resettlement in new countries is a human right and important need for people from refugee and migrant backgrounds. Australia’s healthcare system is considered one of the best functioning healthcare systems in the world, yet refugee and migrant women have limited access to SRH information and care compared with the Australian born women. Evidence shows that accessing and utilising SRH is linked with improved health outcomes for women and their children. 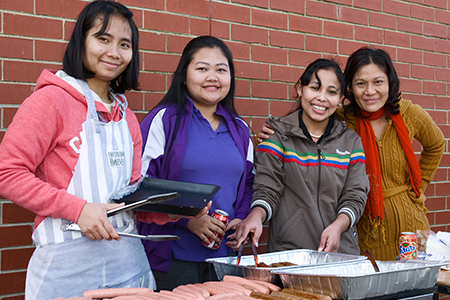 The research shows that Australian healthcare providers (HCPs) also think that migrant and refugee women do not have appropriate access to care because of different and complex challenges that are present on many levels. The paper goes on to argue that evidence shows that knowledge enables women to apply protective health behaviours. On a practical level, this sort of research tells us that the need for quality translated information is important. People from our community also need to be able to access interpreters more easily in the health system. Health groups need to work at communicating significant changes that will impact communities more broadly (like changes to the Human Papilloma Virus test).